I am obsessed with gingham. 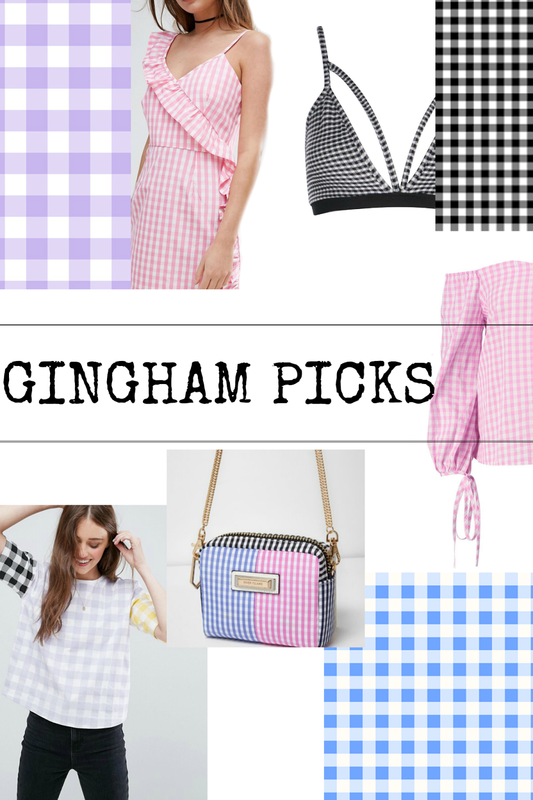 I'm literally THRILLED that gingham seems so on trend at the moment, finding it just about everywhere and I can't stop looking at bits online... my 'saved items' and 'baskets' keep getting bigger and bigger.... damn my bank balance! I cannot be the only person with this current trend favourite so I thought I'd pop a post together of the cutest bits I've found recently for under £20! #gimmeitall! I love the bralet from Boohoo, it's such a perfect little touch of gingham. I really like gingham too, and my favourite item from your selection is the red peplum top from New Look! I need to get myself something in red gingham, it's such a nice change from black. Also, gingham shorts are super cute!